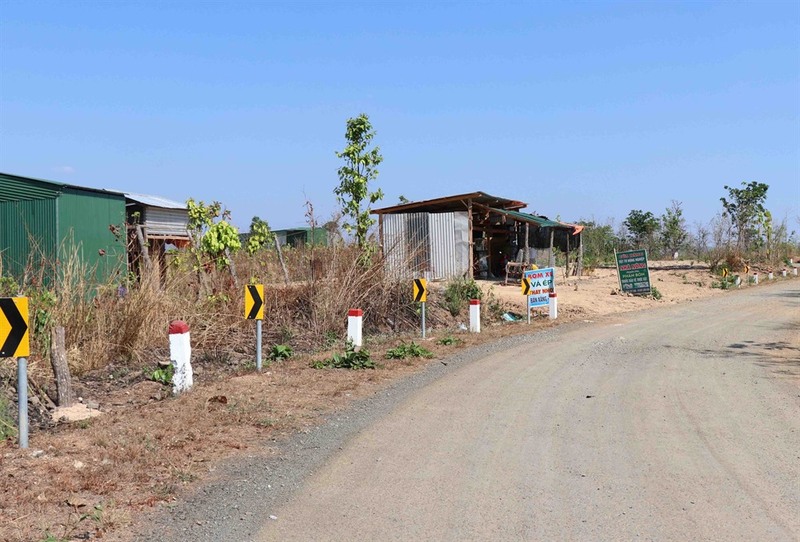 ĐẮK LẮK — Dozens of hectares of forest were illegally cut down and private properties were constructed along National Road 29 in the area between Ea Súp and Buôn Đôn districts as authorities admitted they were struggling to stop the encroachment. Vietnam News Agency reported that large tracts of natural forest in subdivision 296 of Cư M’Lan Commune in Ea Súp District were cut down – thousands of trees of different varieties, from highly valuable species to common wood with trunk diameters reaching 20-40cm, piled up on the forest floor waiting to be transported away, while their vegetation was burnt. On the 2,000 sq.m of land belonging to a woman who went by the name of Trần Huyền Trang in the subdivision, there are already three freshly built wooden houses with tin roofs – one serving as a private residence, one marked with a “charity class” plate and another as a shop for agricultural equipment. Trang told a Vietnam News Agency reporter she bought the land from a Dao ethnic minority man for VNĐ200 million (US$8,640) with full written proof of land ownership from the previous owner, but failed to produce the documents. The forest area was under the management of the one-member Đắk Lắk Food Processing and Forestry Co Ltd based in Ea Súp District. Nguyễn Văn Quyến, deputy director of the company, said the offenders destroyed the forest and constructed buildings at night and that the local forest rangers were constantly understaffed and could not prevent the violations. Quyến was previously disciplined by local authorities for negligence leading to the loss of 10,500ha in the Ea Súp District of Đắk Lắk, as people encroached upon the forest over several years to build houses and do agriculture. Similar scenes of destruction could also be seen in other forest areas under Ea Súp District and Buôn Đôn District’s protection forest zone. 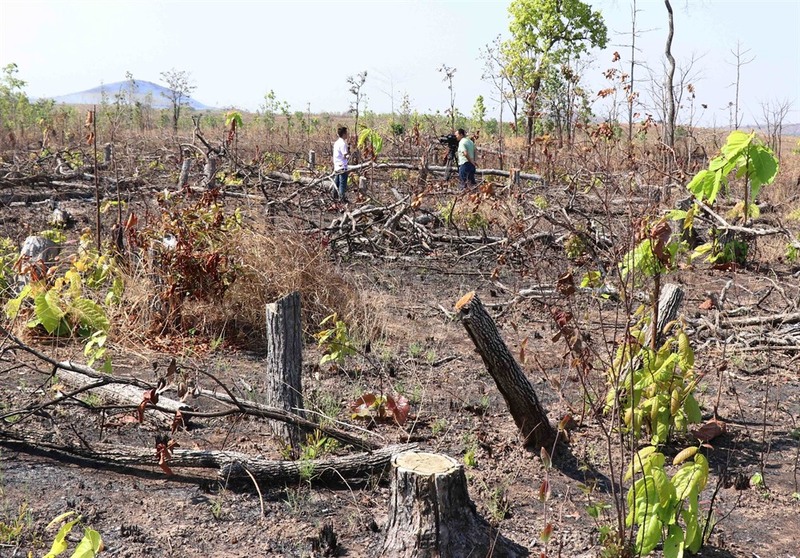 Buôn Đôn protection forest zone’s management board said that in the 10,200ha under its supervision, 14ha of forest land running along National Road 29 are at heightened risk of being destroyed. From February 6-23, three hectares of this land were violated. Lê Danh Khởi, head of the management board, said the land was the primary target of the offenders, not the trees.